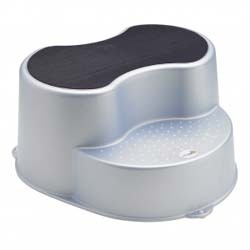 Makes access to bassin or toilets easier for your toddler. Anti-slipping cover on 2nd step. Ideal to go to toilet or wash hands. Suitable up to 30 kgs.